Cash Before Competence – A False Economy? Electrical Safety First has just launched a major consumer campaign to highlight the need for people to use registered electricians – with research showing putting cash before competence is a false economy. And the Charity estimates that a staggering £2.4 billion has been spent correcting substandard work across the UK. Research by Electrical Safety First found a disturbing number of consumers would seriously consider hiring an unregistered electrician for electrical work such as rewiring a house, or installing a new consumer unit, as if it saved money. Almost 1 in 3 (30%) admitted they’d choose an unregistered electrician for a cash saving. When asked how significant the saving would have to be for them to use an unregistered professional, more than a third (36%) of respondents said they’d be happy with an average saving of £50. 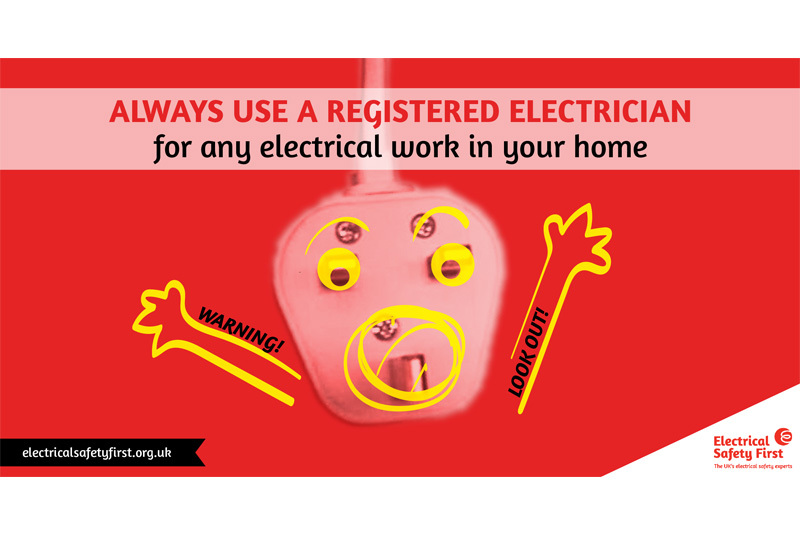 More alarmingly, some would be prepared to risk the electrical safety of their homes for a saving of £5 or less. Yet these relatively small savings are completely overshadowed when compared to the price of correcting electrical work. Electrical Safety First found consumers can potentially pay out as much as fifteen times the amount they’d initially hoped to save. Nearly a third of UK adults (31%), the equivalent of 16.4 million people, have had to fix poor quality electrical work on at least one or more occasions, with an average repair bill of £750. The charity estimates that around £2.4 billion has been spent correcting substandard work across the UK. “We regularly receive queries from the public about how and where to find an electrician to carry out work in the home”, explains Martyn Allen, Technical Director at Electrical Safety First. “We recommend all electrical work is carried out by a registered electrician who will have the knowledge, skills and experience necessary to ensure work is undertaken safely and effectively.